Saturday nights draw thousands to the city's bars and clubs. The Printworks, Northern Quarter, Deansgate, Spinningfields, Canal Street are all busy areas. There's also a wide selection of restaurants, in popular areas like Spinningfields, the Corn Exchange or Chinatown, or head over to the Northern Quarter for some of the city's best independents. Finally, why not take in a show at the Palace Theatre or see a concert at the Bridgewater Hall or the Manchester Arena. 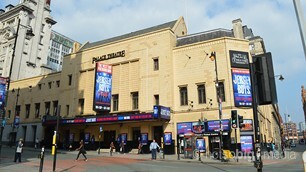 Manchester has several large venues which draw visitors form far and wide. The Manchester Arena and Manchester Apollo host major gigs and concerts whilst the Palace Theatre and the Opera House attract large scale touring shows. Of note is The Bridgewater Hall, Manchester's international concert venue and home to the Hallé. Manchester has a wide selection of restaurants, with many national chains moving into the city. There are though plenty of great independent restaurants too, especially in the Northern Quarter. Popular dining areas are Spinningfields with its outdoor seating, Chinatown near Piccadilly Interchange, around King Street, and the Corn Exchange with its modern food court in an historic building. The city centre is full of well known restaurants, bars and pubs. Check out Deansgate, Chinatown and the Printworks, or Exchange Square with its outdoor seating, or the Northern Quarter for the very best independents. Saturday night is Manchester's biggest night out and thousands from the surrounding area as well as a myriad of stag and hen parties descend on the city. The busiest bars and clubs can be found around The Printworks, Deansgate, Spinningfields and Canal Street whilst the Northern Quarter is a popular alternative destination. Canal Street in 'Manchester's Gay Village' is the popular nightlife area here. Head to Spinningfields for early evening drinks or across to Peter Street via Deansgate for late night fun! 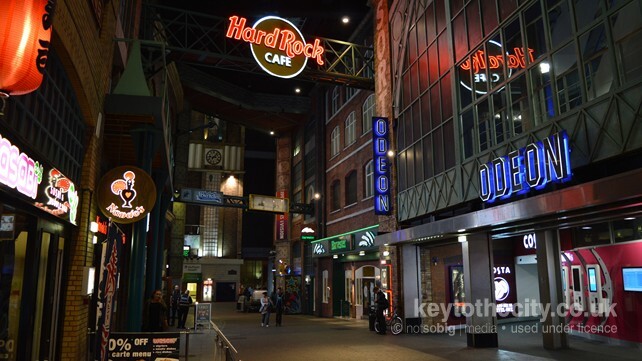 The Printworks is at the centre of nightlife here with its popular late night bars and clubs. Don't forget that the historic Old Wellington Inn is just a few minutes around the corner and the cabaret nightclub The Birdcage is just over the road. The Northern Quarter is Manchester's creative district and full of independent bars. Start at the junction of High Street and Thomas Street, then head west to Oldham Street, Stevenson Square or Hilton Street. Relaxed daytime drinking in the Castlefield area or head over to Deansgate Locks where bars are open late into the night. This section lists the popular casinos in Manchester and also features any other late night entertainment available in the city.